Breckenridge is also known as: Stephens County / Breckenridge city. Zip codes in the city: 76424. Stephens County funeral flowers can be purchased from one of the local funeral shops we partner with. Some of the notable people born here have been: Carl Isett (politician and businessperson). Breckenridge is a city in Stephens County, Texas, United States. The population was 5,780 at the 2010 census. It is the county seat of Stephens County. The mayor is Jim McKay.Breckenridge was a stop on the since defunct Wichita Falls and Southern Railroad, one of the properties of Frank Kell and Joseph A. Kemp of Wichita Falls, Texas. The line was thereafter operated until 1969 by the Chicago, Rock Island and Pacific Railroad.Former Texas State Representative Carl Isett of Lubbock (District 84) was born in Breckenridge in 1957.Dallas Cowboys legend and Texas High School Football Hall of Fame member Gerald M. "Jerry" Tubbs was an honor graduate student and played center at Breckenridge High School. He was part of two Texas state championship football teams in 1951 and 1952. He played in three high school All-Star games and was a unanimous Texas All-State selection in 1952. In 1971, Tubbs was inducted into the Texas High School Football Hall of Fame. Since 2008, the Breckenridge Buckaroos open the football season playing the "Jerry Tubbs Kickoff Classic". It was revealed on November 3rd, 2017 that Sheila Roschewski died in Breckenridge, Texas. Roschewski was 66 years old. Send flowers to share your condolences and honor Sheila's life. It was noted by South West Times Record on August 19th, 2017 that Scott White passed on in Ft Smith, Arkansas. White was 56 years old and was born in Breckenridge, TX. Send flowers to share your condolences and honor Scott's life. It was reported by Graham Leader on May 28th, 2017 that Jerry Lee Kark died in Breckenridge, Texas. Kark was 78 years old. Send flowers to share your condolences and honor Jerry Lee's life. It was reported by Graham Leader on March 17th, 2017 that Jerald Glen "Jerry" Gibson passed away in Breckenridge, Texas. Gibson was 75 years old. Send flowers to share your condolences and honor Jerald Glen "Jerry"'s life. It was reported on January 27th, 2017 that Elizabeth Jan Lewis (Boggs) passed on in West Seattle, Washington. Ms. Lewis was 92 years old and was born in Breckenridge, TX. Send flowers to share your condolences and honor Elizabeth Jan's life. It was written by Graham Leader on August 26th, 2016 that Virginia Carolyn Ridgeway (Thompson) perished in Breckenridge, Texas. Ms. Ridgeway was 73 years old and was born in Taylor, AR. Send flowers to share your condolences and honor Virginia Carolyn's life. It was disclosed by Graham Leader on June 22nd, 2016 that Catherine Marie "Cathy" Franklin (McGinnis) passed on in Breckenridge, Texas. Ms. Franklin was 76 years old and was born in Fluterville, OH. Send flowers to express your sorrow and honor Catherine Marie "Cathy"'s life. It was reported by Graham Leader on April 6th, 2016 that Venita Loraine Olsen (Strickland) died in Breckenridge, Texas. Ms. Olsen was 98 years old. Send flowers to express your sorrow and honor Venita Loraine's life. It was written on April 4th, 2016 that Adrian Michael Pichler passed on in Breckenridge, Texas. Pichler was 74 years old and was born in Albany Twp, WI. Send flowers to share your condolences and honor Adrian Michael's life. It was written by Graham Leader on March 23rd, 2016 that Diane Cates Mabry (Thorn) died in Breckenridge, Texas. Ms. Mabry was 49 years old. Send flowers to express your sorrow and honor Diane Cates's life. Breckenridge is a city in Stephens County, Texas County, Texas, United States. 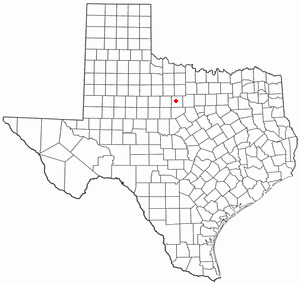 It is the county seat of Stephens County, Texas County . The mayor is Jim McKay. Breckenridge was a major oil producer in the early 1920s. The population was 5,868 at the 2000 census. The population jumped from a thousand to fifty thousand in under five years. C.G. was born in Breckenridge, Texas on March 11, 1927 ... Arrangements were under the care and direction of Shaffer-Nichols Funeral Home of Crane. Melton-Kitchens Funeral Home, Breckenridge, TX : Reviews and maps - Yahoo! Local, 254.559.3311. Get Ratings, Reviews, Photos and more on Yahoo! Local.